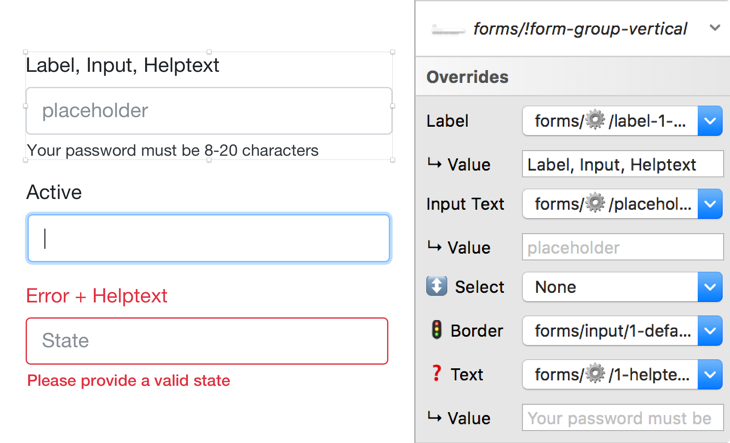 Bootsketch saves designers time by giving them Bootstrap components in Sketch format. I design a lot of sites that are developed in Bootstrap. There are a few Bootstrap Sketch files floating around, but they don’t really cut it for me. You get a symbol, you get a symbol, EVERYONE GETS A SYMBOL! 🔥 All symbols are resizable — even complex symbols like modals and sliders. Resize symbols horizontally or vertically. They’re optimized for every screen. Each artboard has the same Bootstrap spacing between gutters and the max-width for each responsive breakpoint corresponds to each artboard. This looks great. Grabbing a copy. Definitely worth $29 for a well-maintained set of Bootstrap symbols w/ overrides & good coverage of Bootstrap, especially if you’re working on a UI kit from scratch. What should I expect from Bootsketch moving forward? Bootsketch will be supported, maintained and improved on a regular basis. I set up a public Trello board that will track progress, releases, and bugs. If you own a license of Bootsketch you will receive free updates! I hope will give you the power up you need to start building sites faster and shipping products sooner! If you have any questions feel free to comment below or hit me up on Twitter, or send me an email.